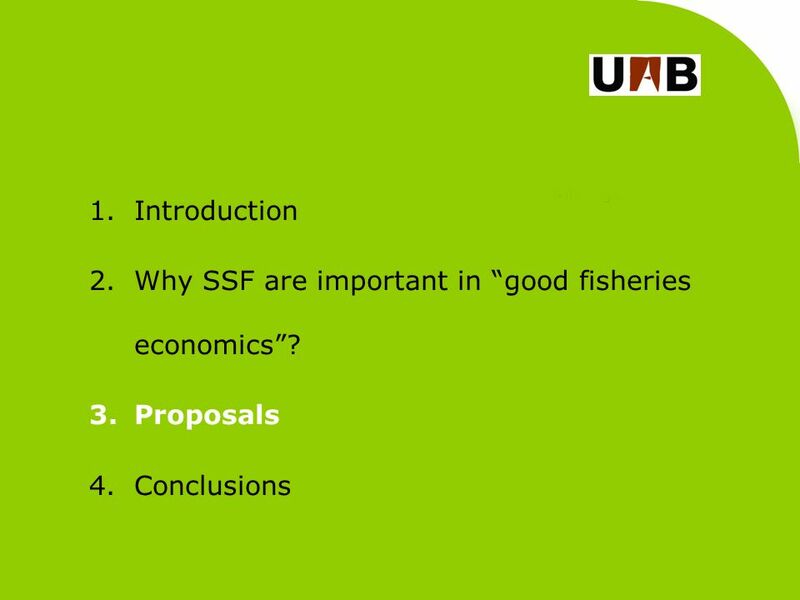 Socio-economic viability and solutions for small-scale and coastal fisheries in the EU in the context of CFP reform Dr. Miquel Ortega Cerdà Committee on. 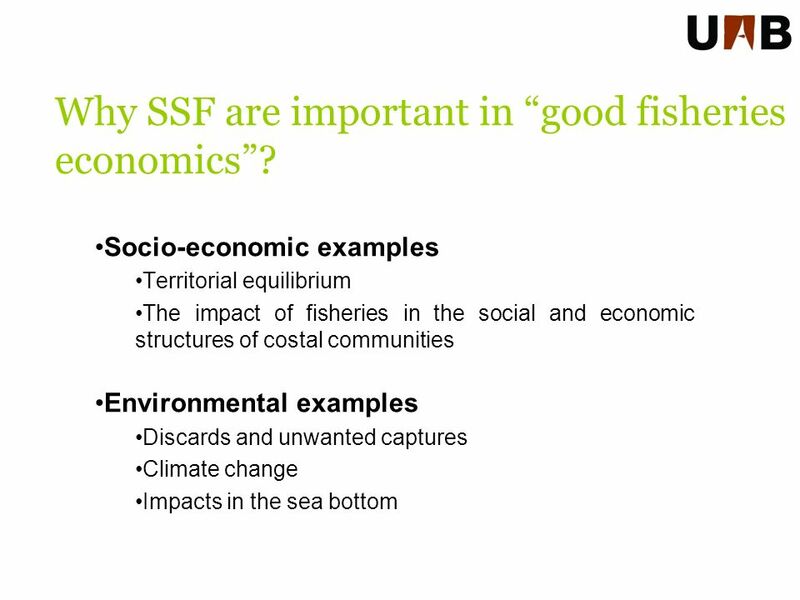 8 Socio-economic examples Territorial equilibrium The impact of fisheries in the social and economic structures of costal communities Environmental examples Discards and unwanted captures Climate change Impacts in the sea bottom Why SSF are important in good fisheries economics? 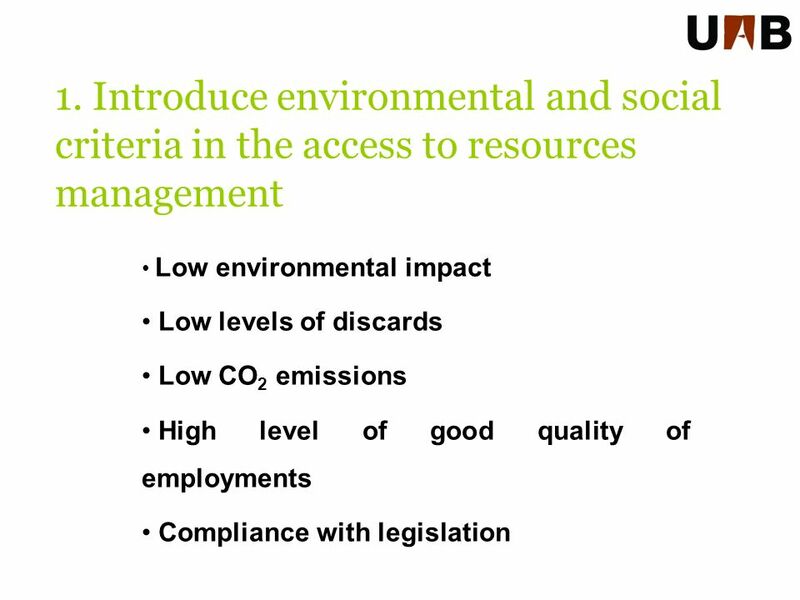 9 Externalities are important because: Limit the use of market mechanisms: The market by itself does not lead us to the most efficient use of resources. 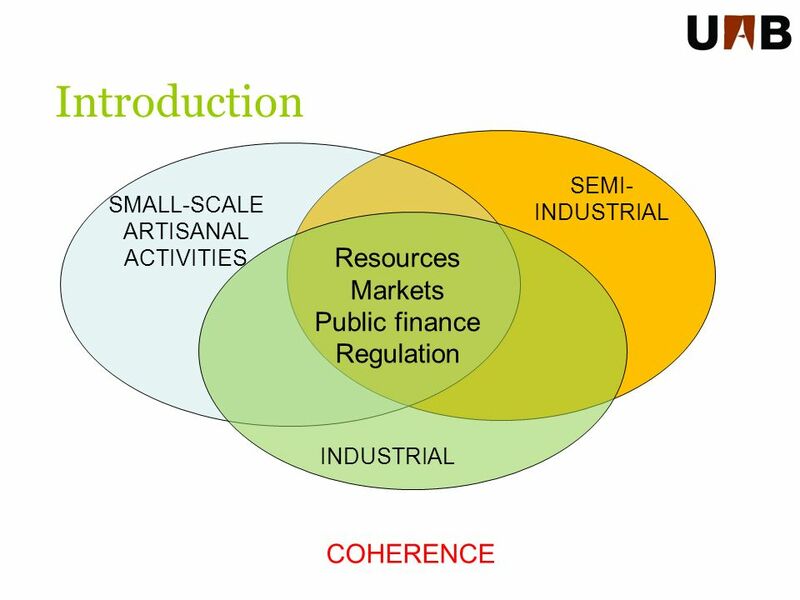 Delinks the connection between individual and public efficiency. 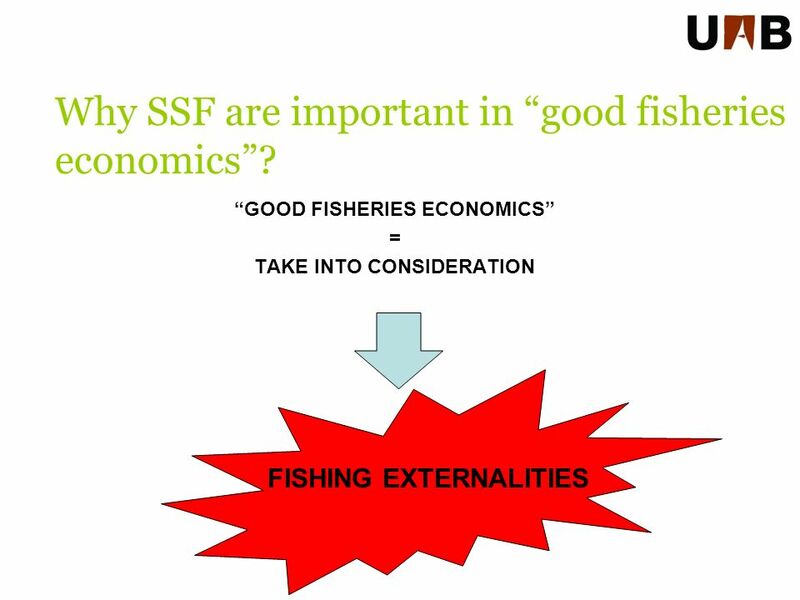 Alternative fishing methods and practices do have different types of externalities. 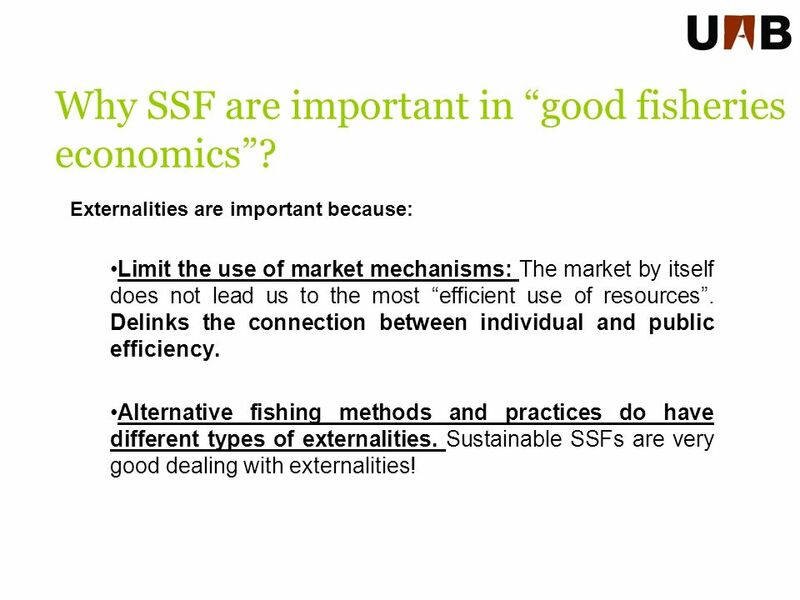 Sustainable SSFs are very good dealing with externalities! 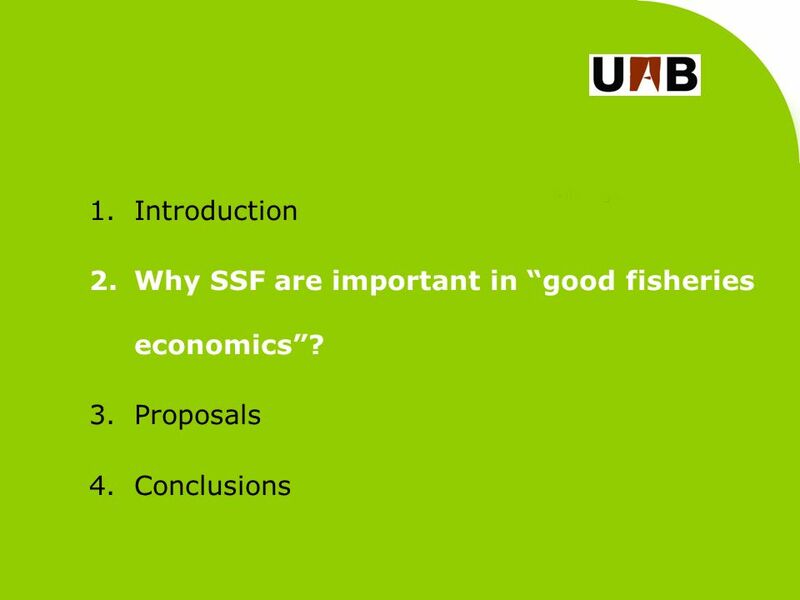 Why SSF are important in good fisheries economics? 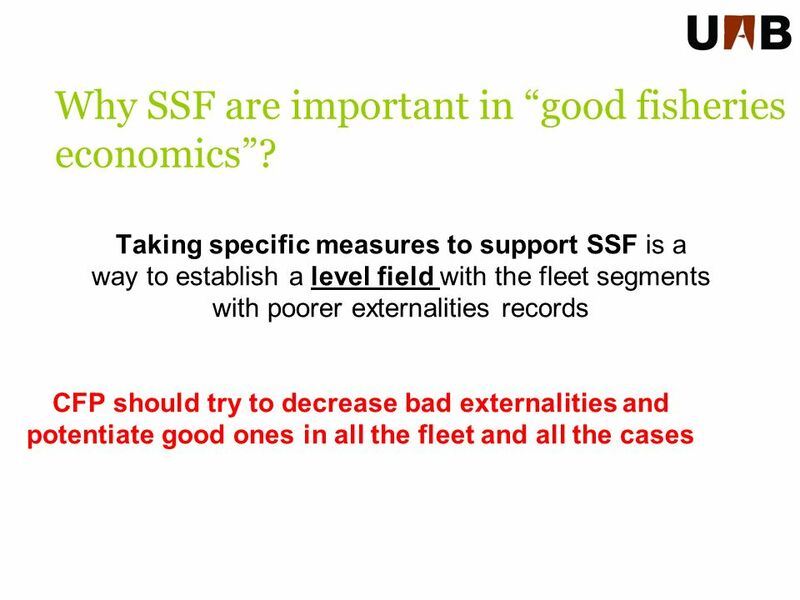 10 Taking specific measures to support SSF is a way to establish a level field with the fleet segments with poorer externalities records CFP should try to decrease bad externalities and potentiate good ones in all the fleet and all the cases Why SSF are important in good fisheries economics? 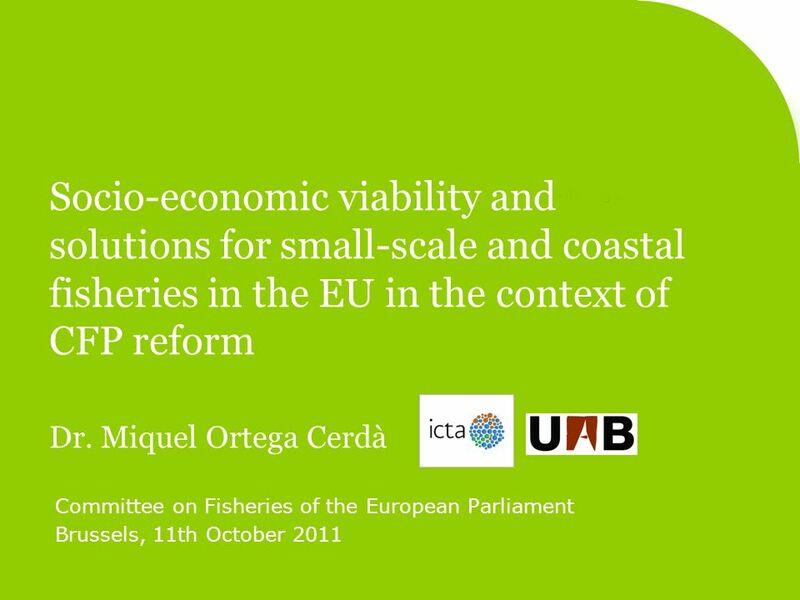 Download ppt "Socio-economic viability and solutions for small-scale and coastal fisheries in the EU in the context of CFP reform Dr. Miquel Ortega Cerdà Committee on." 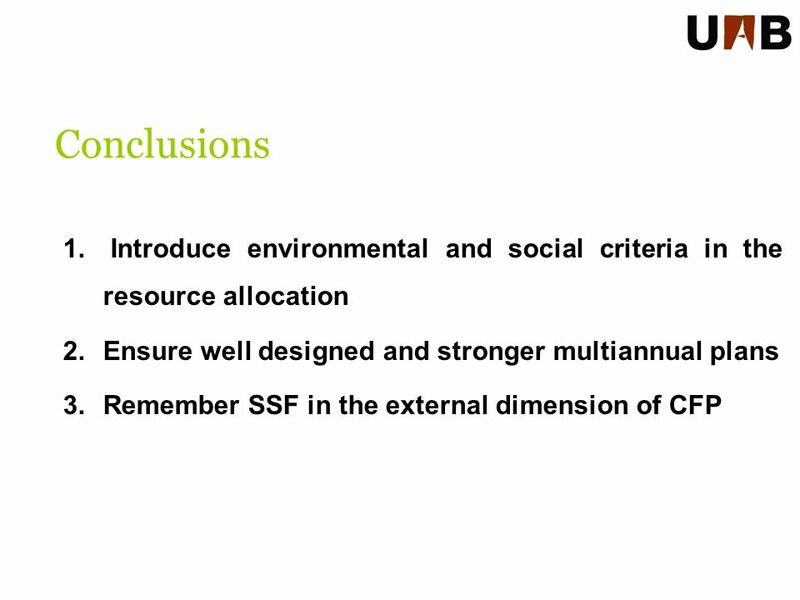 European Policy Centre Reform of the EU Budget – an Opportunity for a Radically Different EU? 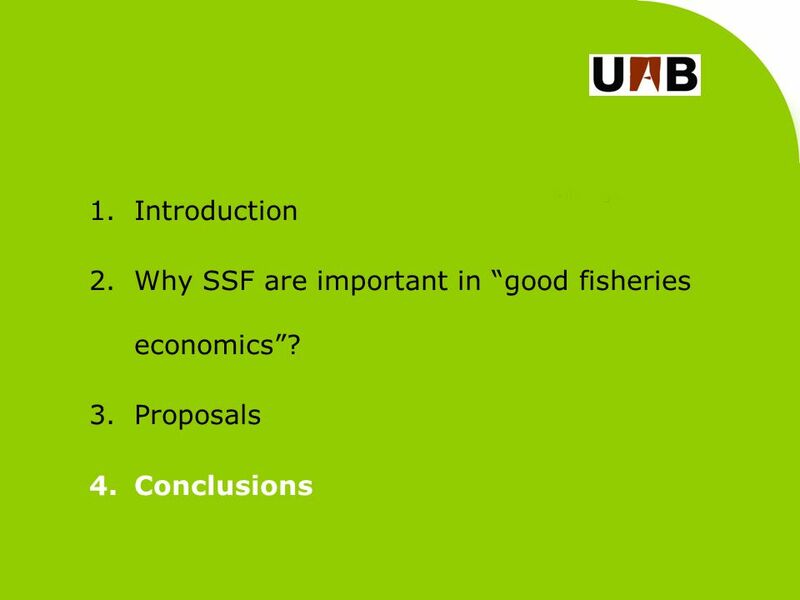 12 October 2007 Fabian Zuleeg Senior Policy Analyst. 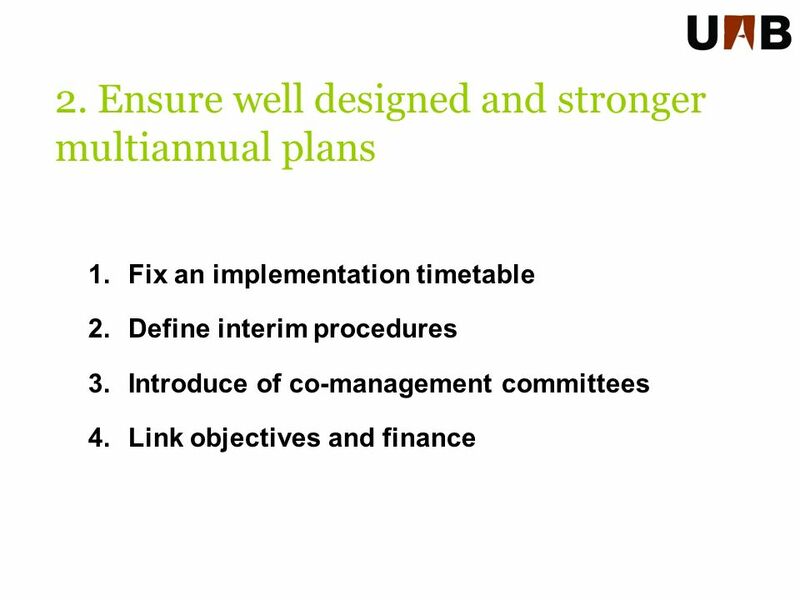 María Muñoz General Directorate for Community Funds Ministry of Economy and Finance SPAIN María Muñoz General Directorate for Community Funds Ministry. 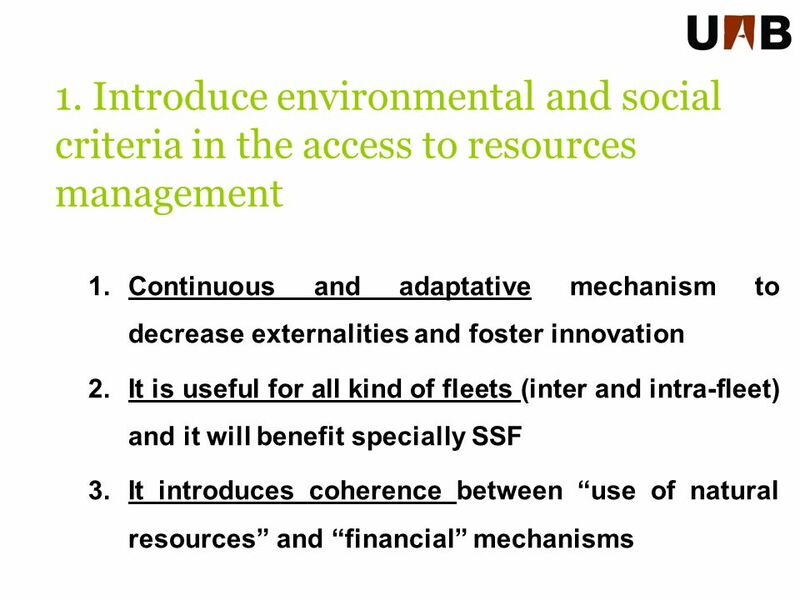 1 Cohesion Policy Brussels, 15 July 2004. 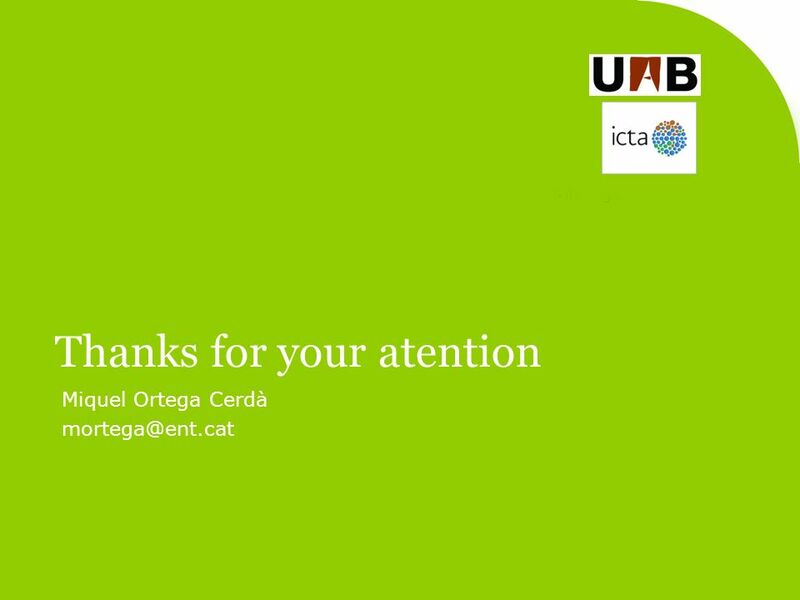 TERMS OF REFERENCE FOR RESEARCHERS. 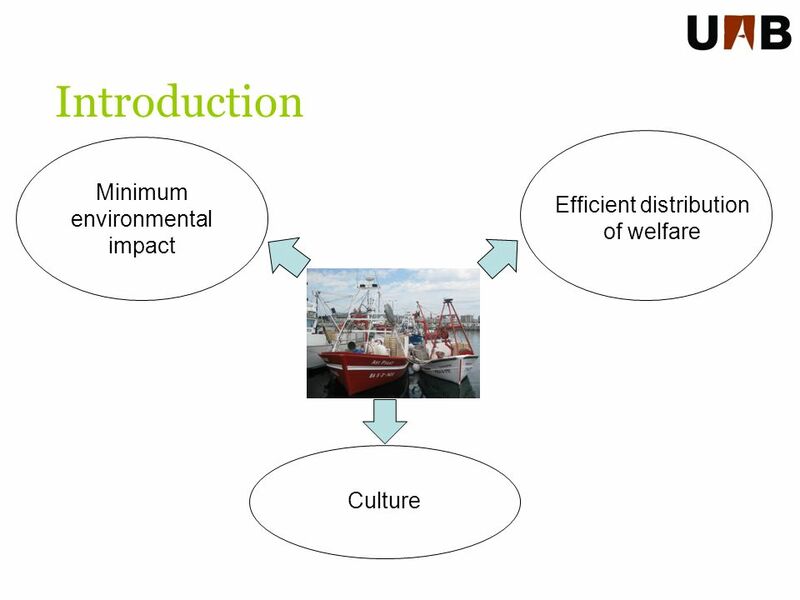 Output 1: Current economic interdependence between the two communities assessed and recommendations for reinforced. 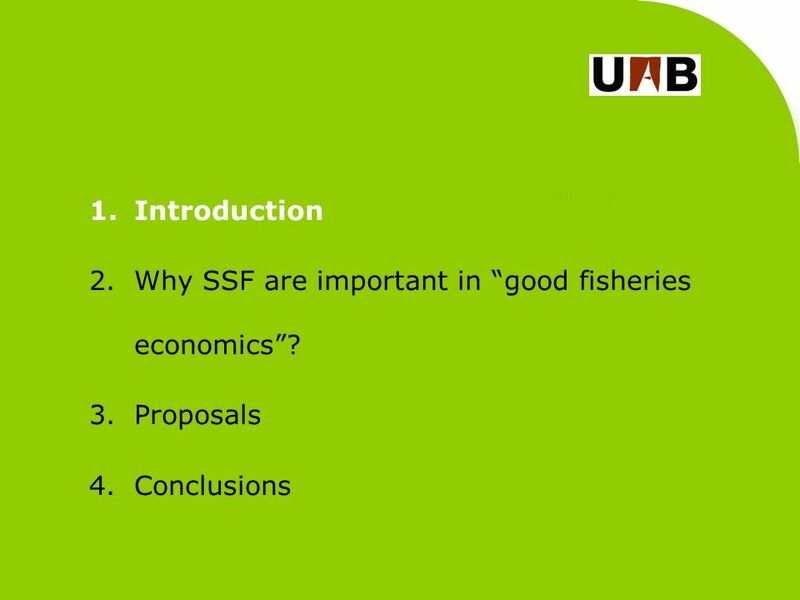 EUROPEAN PARLIAMENT Committee on Fisheries Public Hearing Are Transferable Fishing Concessions appropriate tools for addressing overcapacity and fleet. 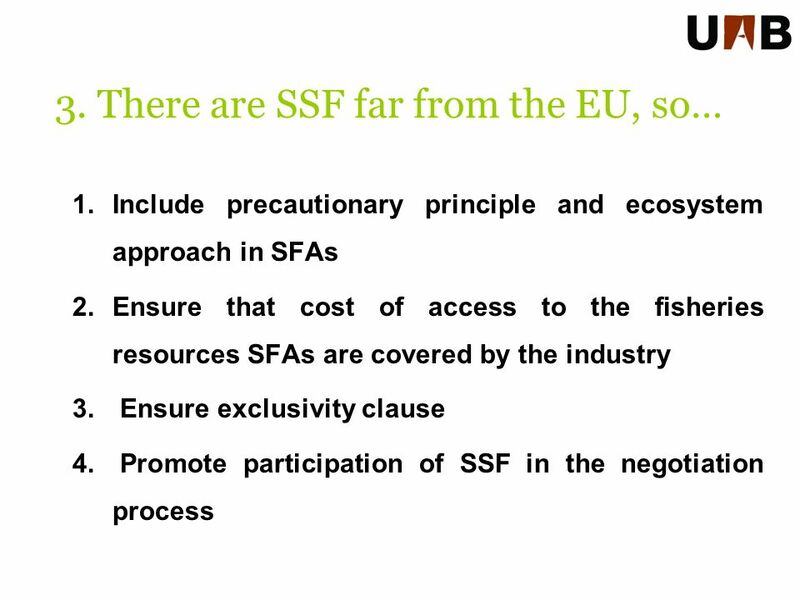 ALDE Strategic Programme for the European Commission Press conference of Guy Verhofstadt, President of the ALDE Group Strasbourg, 15 December. 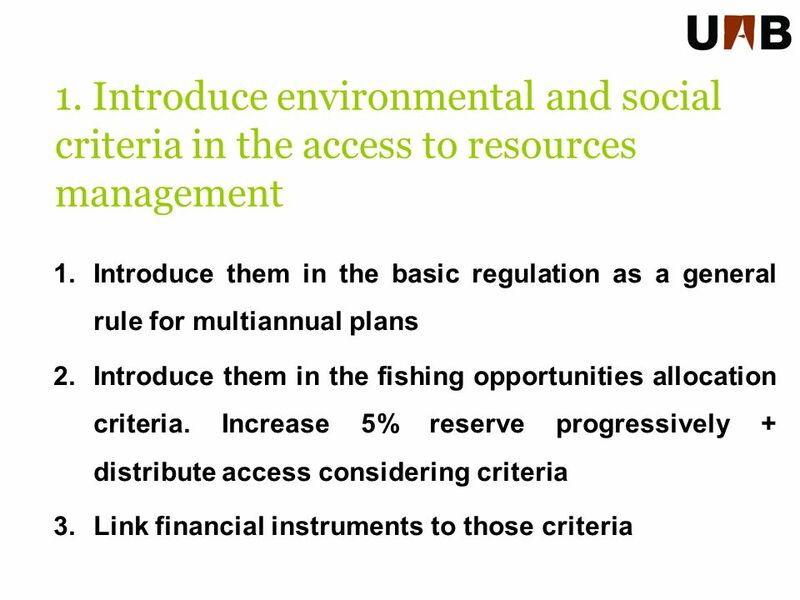 Regional Policy The future of EU funding - proposals from the Commission Guy Flament European Commission, DG REGIO Cardiff, 19 April 2013. 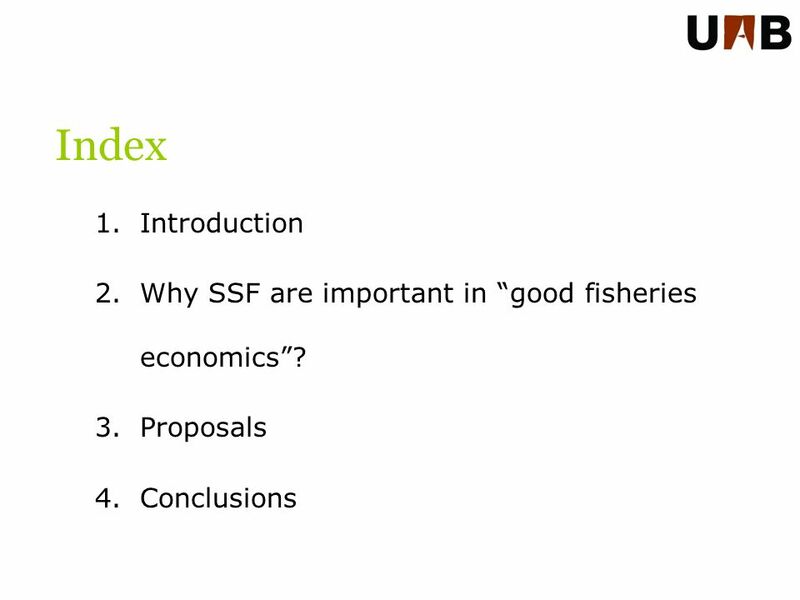 The Good, the Bad, the Worrisome A Critical Look at the New Common Fisheries Policy of the EC Rainer Froese Presentation at the 2013.